While sunrooms are often considered a summery hangout spot for lounging and savoring nearly endless amounts of sunshine, a four-season sunroom lets you comfortably enjoy the outdoors throughout the year. Hunkering down during cold weather and transforming your sunroom into a cozy winter retreat is a great way to ensure you’re getting the most from your room all year, not just during the summer months. Create the ideal lounging space by quickly, easily and affordably preparing your sunroom for the winter with eye-catching and dynamic seasonal decor. Seasonal Colors: One of the easiest and most affordable ways to convert your summery space is by changing your color scheme. Switch out your fun, bright summery blue and yellow accessories with more appropriate seasonal colors like frosted blues, reds, oranges, greens and white. Find new pillows and covers, candles, table accessories, tableware and other decor that not only enhances your surroundings, but also fits your seasonal theme. Inspired Decor Elements: When you think of fall, you likely recall images of pumpkins, pinecones, mums and acorns. You can easily incorporate these features into your sunroom decor ideas — letting them stand out and add a bit of natural beauty to your space. Collect a wide range of your favorite cornucopia items in several colors, shapes and sizes to scatter throughout your sunroom. You can use pumpkins, gourds, pinecones, dried leaves, berry sprigs, mums, and nuts like acorns, walnuts, almonds and chestnuts. Soft Throw Blankets: During the winter months and cold temperatures, you want to find warmth and comfort wherever you can — that’s why you should keep your winter sunroom fully stocked with plush and cozy throw blankets in soft textures. Curl up in your favorite blanket made from snug materials like fleece, cashmere or knit. Add a bit of extra flair to your space by finding lively patterns that fit your color scheme in herringbone or plaid. Do you need help transforming your porch or sunroom into a year-round retreat or want to add a new indoor and outdoor living space to your home? 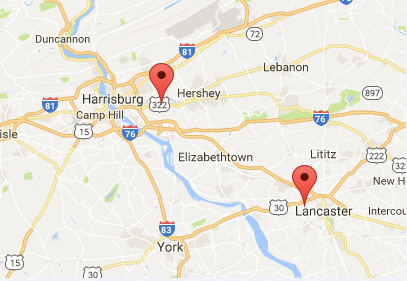 PAsunrooms is the only exclusive sunroom builder serving residents throughout southcentral Pennsylvania. We have over 30 years of experience designing and installing custom Four Season Sunrooms. We offer a wide variety of sunroom options to fit your needs and budget, including three- and four-season options, as well as conservatories and pergolas. Schedule your free in-home sunroom design consultation today by calling us at 717-564-2244 or completing our online contact form.